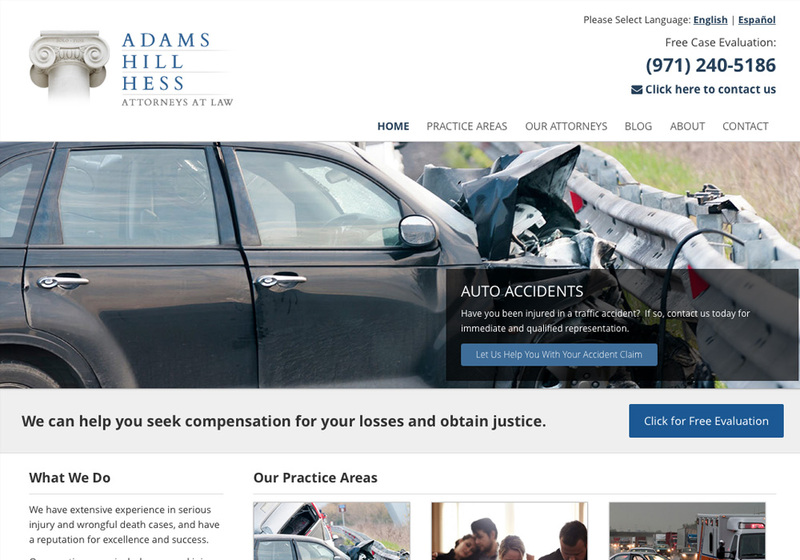 Adams, Hill & Hess is a prominent personal injury law firm that needed help with their web presence. 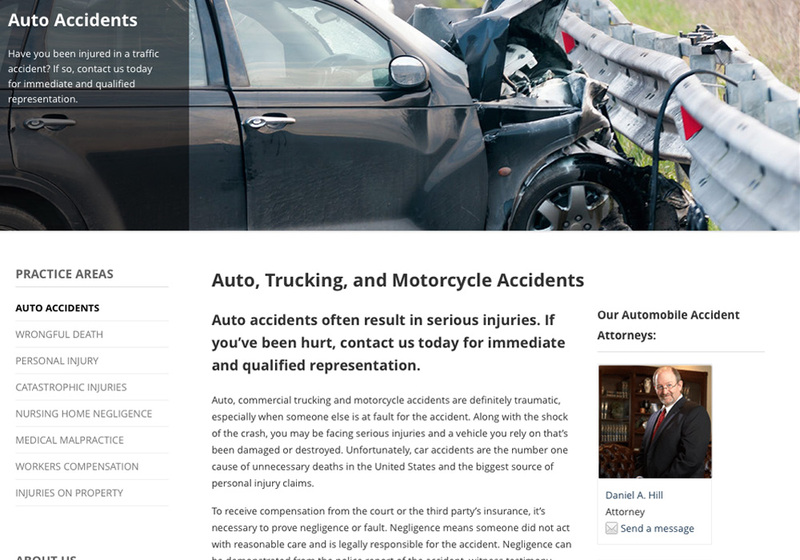 They had an old site that was created from a template that was not mobile friendly or search engine friendly. 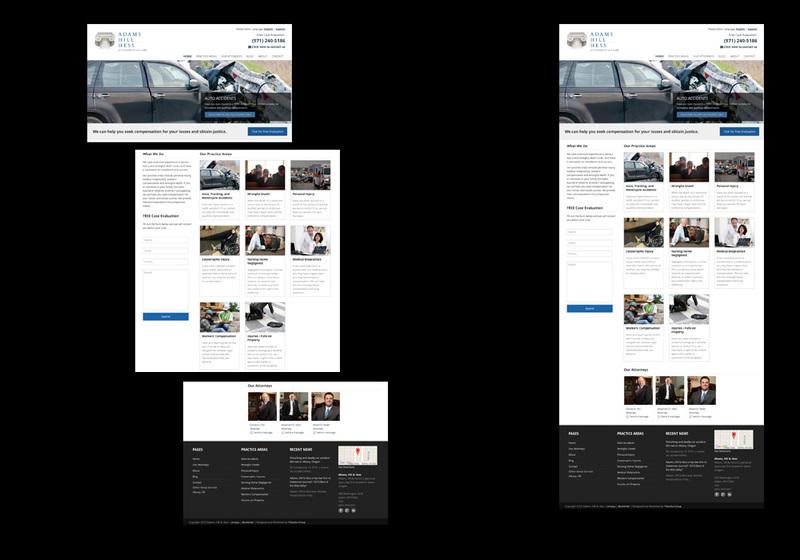 Clean and professional were the two words that they used to describe their future website. 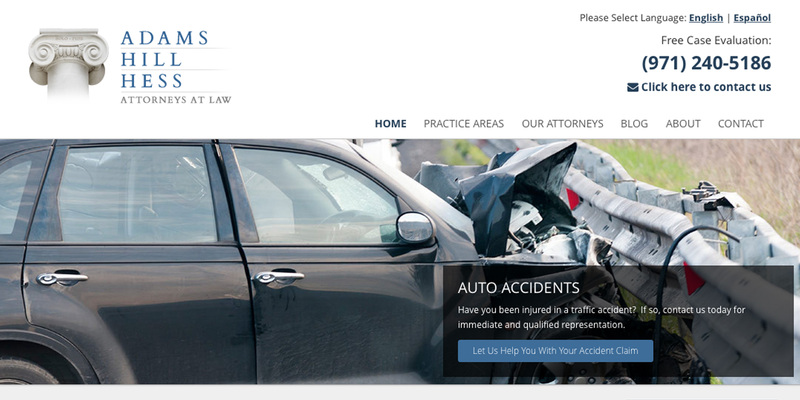 We took their existing logo and color scheme and translated that to the internet with their website. What started as a simple bullet-list of practice areas, was translated to a fully-fledged site that dramatically improved the information found on the site and the search engine visibility. 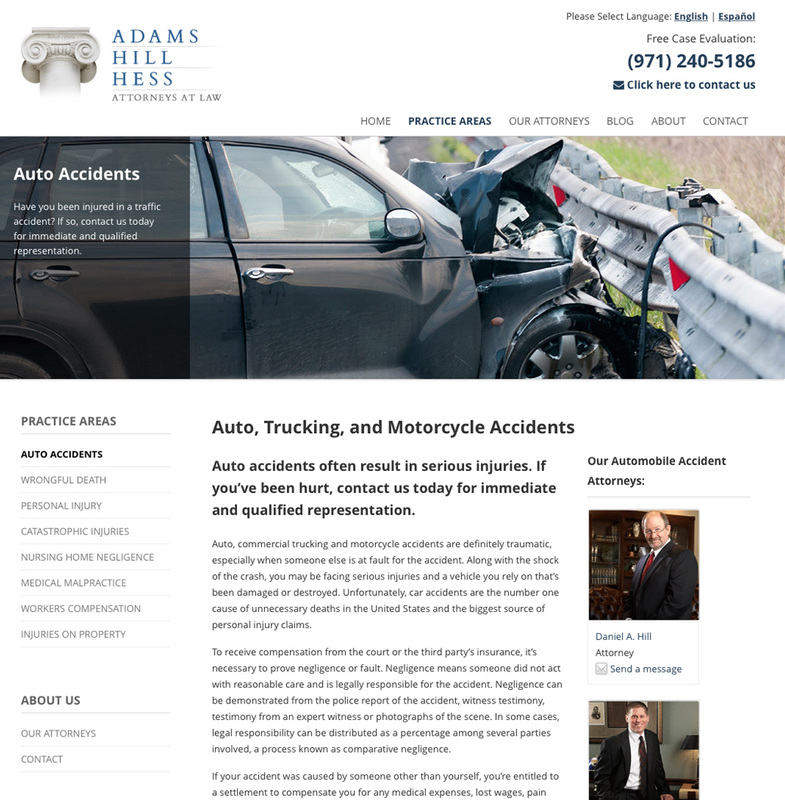 Adams, Hill & Hess have a high percentage of Spanish speaking clients. 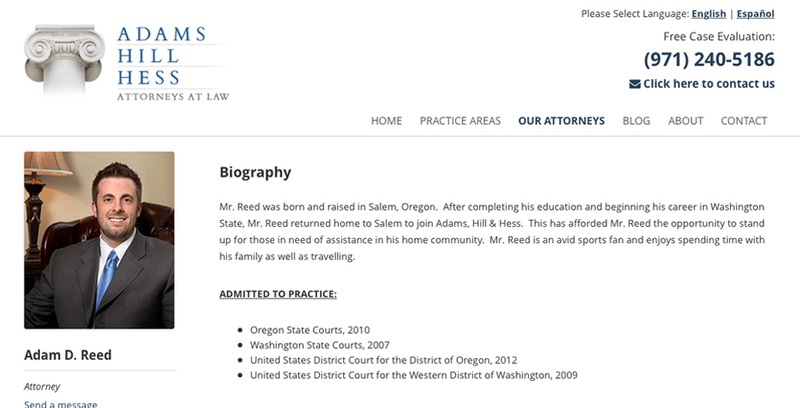 Whether they are referred to them and visiting their website, there was no Spanish on the site. 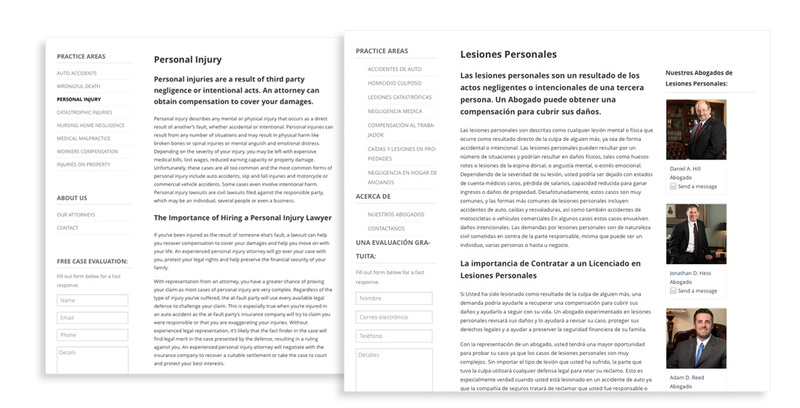 So, we created a secondary site that was fully translated into Spanish. This not only benefited the referrals, but also dramatically increased the search presence for Spanish speaking clients on Google. 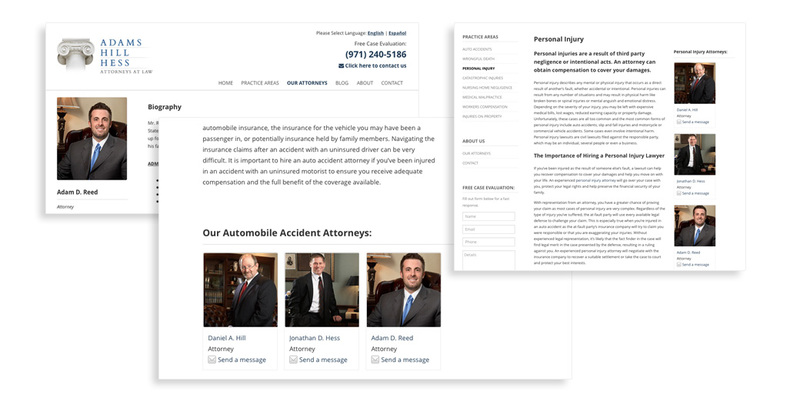 Throughout the site, the attorneys are featured on the site. 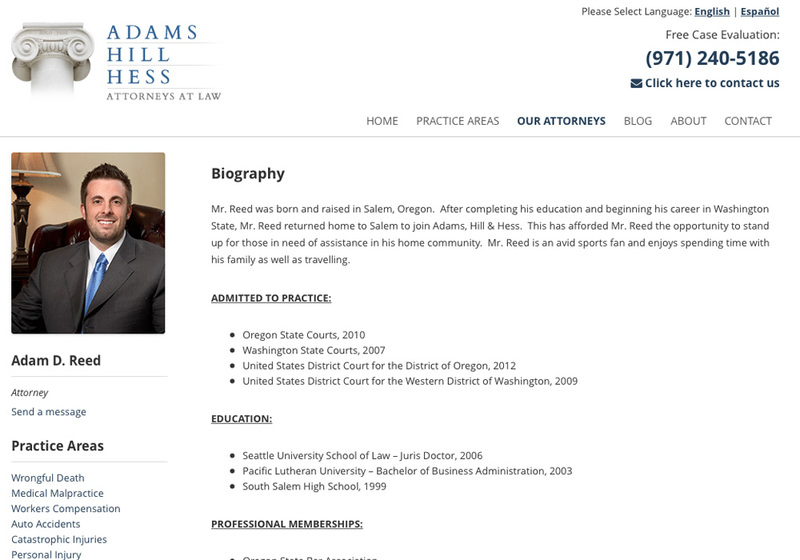 From the practice area a visitor can see the attorneys who specialize in that practice area and from the biography page for the attorney, they can see the practice areas that the attorney specialize in.